I’ve gone to GINZA SIX about once a month since it opened. During downtimes at work, if I’m close by, I find myself heading in. 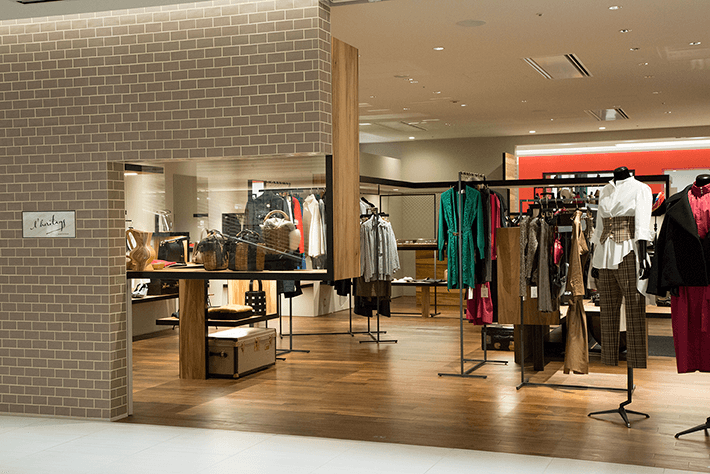 You always find the world’s top fashion brands there, but this time I focused on some of the mixed-label stores that are the pride of Japan. If you’re a busy adult woman like me, you can follow this route to efficiently locate the latest in contemporary fashion. When you ascend to the lobby-like second floor, what jumps out first is SIXIÈME GINZA located directly under the atrium. Pop-up shops from hot brands are also set up here, and they change every two to three weeks. So whenever you visit, there’s something new. 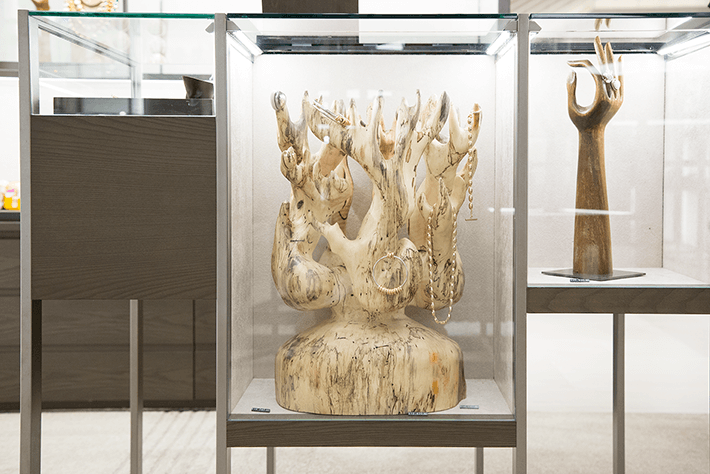 When you enter, you see elegant displays made of natural wood and other materials. 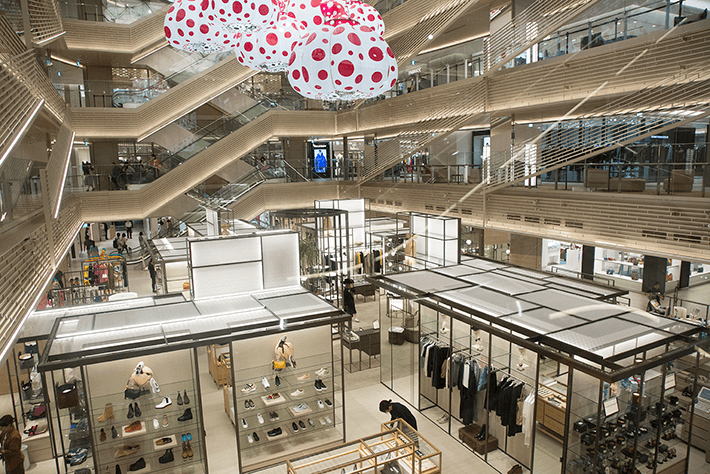 Combined with the open atrium, this helps create a very pleasant shopping experience. At the beginning of a new season, I typically start with shoes. 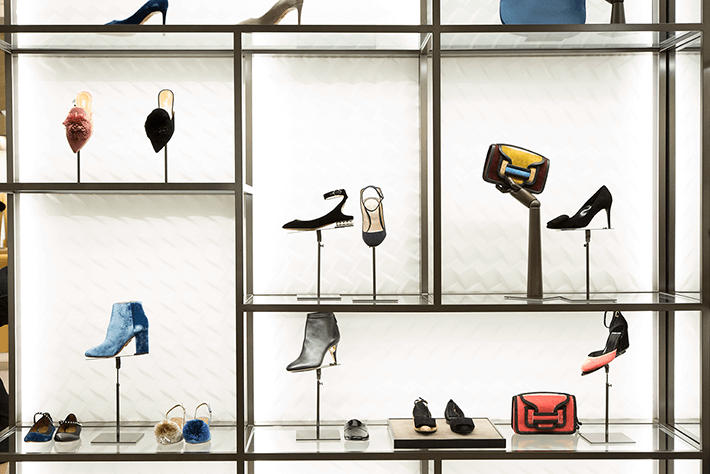 Here, you find numerous trendsetting brands like Nicholas Kirkwood and AQUAZURRA, which don’t have exclusive stores in Japan and are a little hard to find. 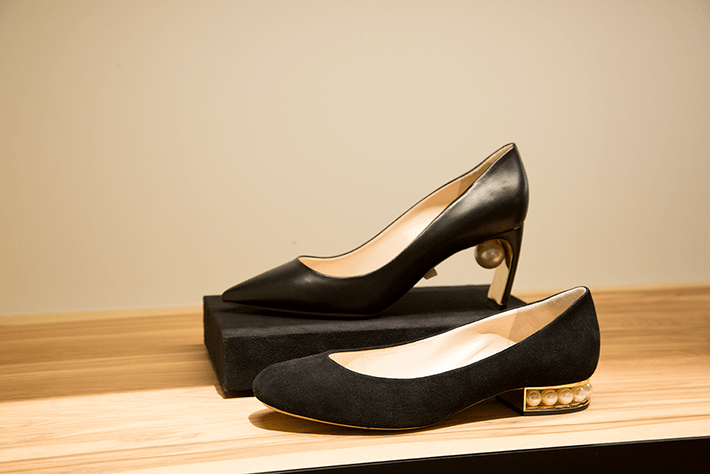 That’s another reason to check SIXIÈME GINZA. 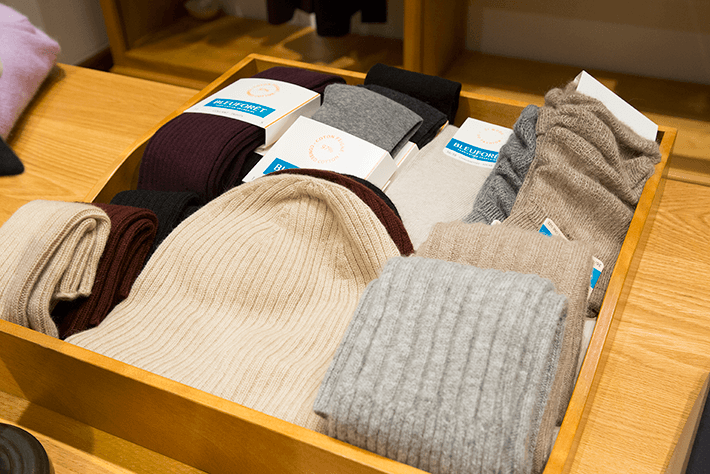 The store also features a range of nonfashion products like dishware, handkerchiefs, and other tastefully selected small items based on a well-defined aesthetic, so it’s the perfect place to find the perfect gift. Next, I take the escalator to the fourth floor. Right where you get off is l’heritage martinique. This boutique brings you “Next Vintage”—a new format for martinique, which proposes universal beauty passed down over generations. Right now, it’s something found only at GINZA SIX. I stop by here for elegant items to boost my spirits. The store is decorated with suitcases, posters, and other selections with a distinctly classic charm. 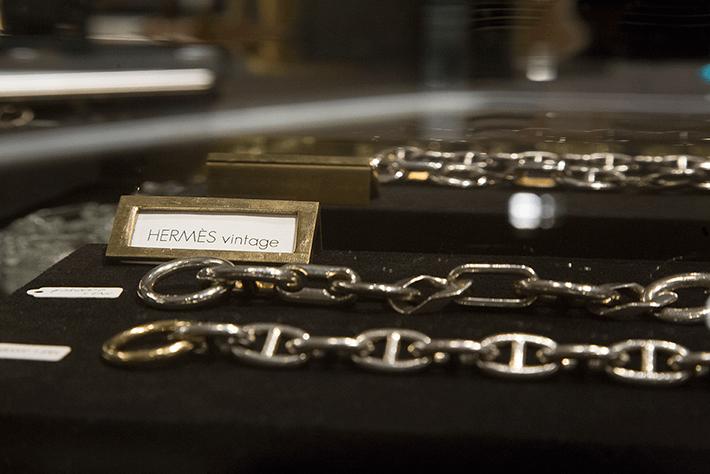 Here and there, you find vintage bags, jewelry, and other surprises. Distinct and distinguished original products, carefully selected clothing and accessories, vintage items, and more—it all combines to create a consistent take on the world that’s distinctively l’heritage martinique. You can’t go wrong no matter how you coordinate whatever found here. Next, on the same floor, I head to Beams House. 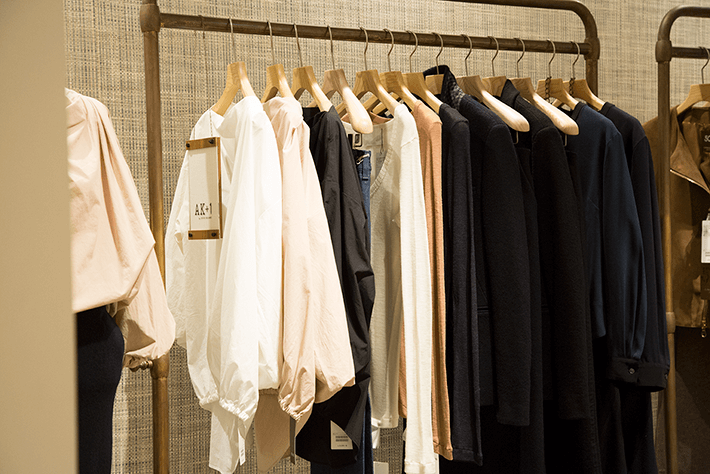 Among the various labels in the Beams franchise, Beams House proposes items that embody a sophistication and a grown-up style. 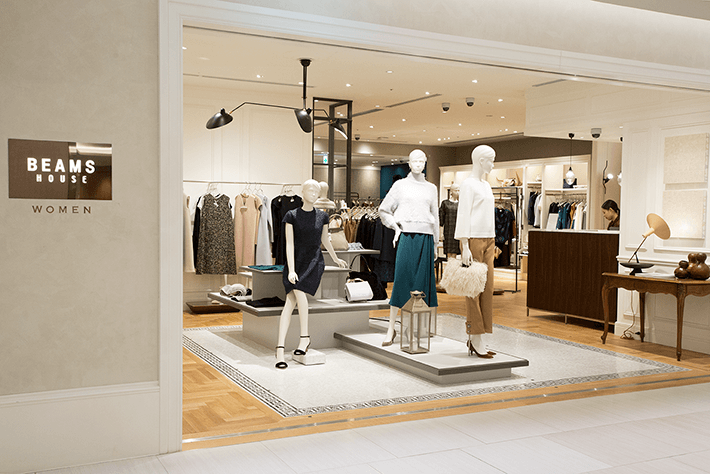 And the store here in GINZA SIX is its first dedicated women’s store. The bright interior offers a great balance of more conservative clothing for work and more spirited clothes for days off. It’s easy to find basic items for how you’re feeling that particular day, along with bags and jewelry from up-and-coming brands that set you apart from the crowd. There’s also a lineup of the popular brand AK+1 by EFFE BEAMS, which is associated with model Aki. 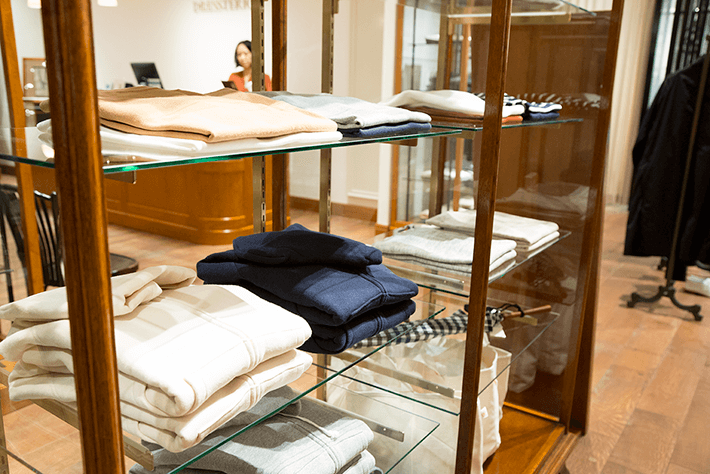 The store also offers ample opportunity for special orders as a personal service, which fits right in with the premium luxury reputation of the Ginza district. DRESSTERIOR right next door features both men’s and women’s fashions. 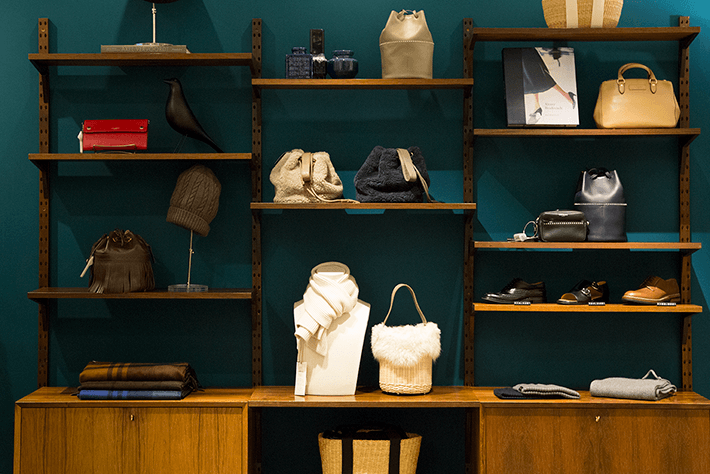 It’s the place to go for all the basic items that populate your closet. When I’m in the mood for something oversized like a parka or shirt, it’s fun to take the leap and select a men’s item to try on and compare. There’s an original fleece-lined parka I love that I’ve bought repeatedly for over 15 years, and sometimes I choose the size based on what’s in at the time. The store’s selection of outside brands focuses on items that aren’t just trendy but also have timeless appeal, like J&M Davidson and ebagos bags and Johnstons scarves. Its long association with these brands allows the store to offer an extensive selection. Don’t miss out on the numerous special-order models available only at DRESSTERIOR. The store also offers small items like socks that people tend to forget to buy. This time, I saw a large selection of BLEUFORET tights on display. I buy these every year around this time. It’s different if you know exactly what you want to buy. If you don’t know the season’s trends or if you’re busy and don’t have a lot of time to spend shopping, just visiting several mixed-label stores geared to adults is a very useful approach. For example, a brand of shoes I just saw at SIXIÈME GINZA was also at l’heritage martinique in a different shape. If, for example, you see checkered items among their originals at every store, you know it’s in for this season. Then, as you’re looking at several stores you know you can trust, you’ll pick up on the key themes of the season, and your must-haves for that season dawn on you. It’s a relief to be able to coordinate everything from socks and innerwear to accessories. The stores don’t blindly offer huge volumes; they carefully select items that match the clothing in there, so it’s good to see what’s there. 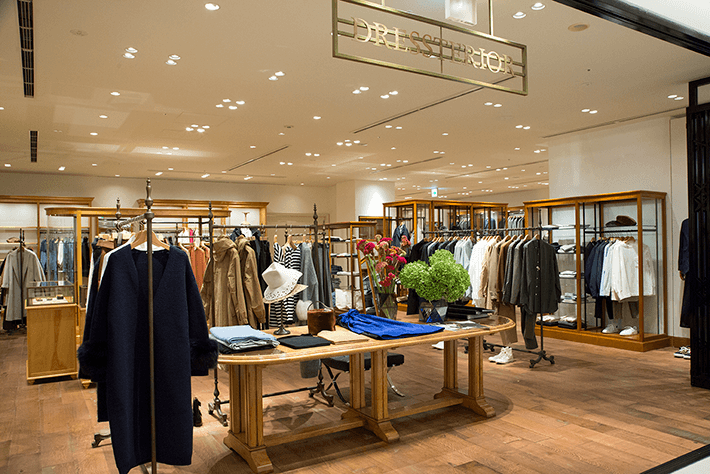 The four stores I’ve introduced here are all highly attuned, sophisticated places I personally trust, and their respective GINZA SIX appeal is one of the reasons I keep coming back. I think of this as the ultimate shopping route for anyone looking to efficiently shop for fashion that’s a step ahead.